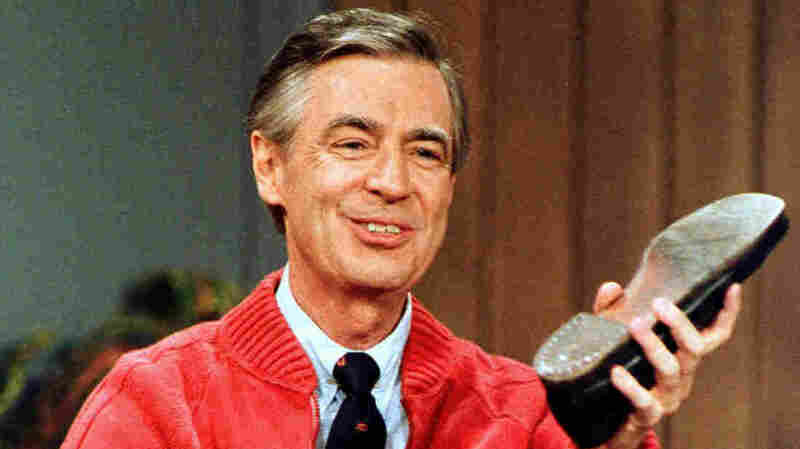 It's A Beautiful 50th Birthday For 'Mister Rogers' Neighborhood' Fred Rogers debuted on national public television in 1968 and quickly became known for his deliberate manner of relating to children. "Every one of us longs to be in touch with honesty," he once said. Fred Rogers rehearses the opening of his PBS show Mister Rogers' Neighborhood, which premiered Feb. 19, 1968. Every one of us longs to be in touch with honesty. ... I think we're really attracted to people who will share some of their real self with us. Rogers shared his real self with us from that very first day of Mister Rogers' Neighborhood, on Feb. 19, 1968, when he went national on public TV, removed his jacket and dress shoes, slipped on a sweater and sneakers and talked gently about tying shoelaces. Mister Rogers' Neighborhood was all about encouragement and support. It loved to educate kids a little, inspire them a lot and, when necessary, calm them down a bit about what may be unspoken fears. That first week of Mister Rogers was about change — even in the Neighborhood of Make Believe, where a puppet ruler named King Friday XIII was upset that his subjects were moving their homes around his kingdom. In this week-long story, King Friday becomes so upset that he orders a big wall to be built around the castle to keep everyone out. But eventually, the ruler decides he had nothing to fear and takes down the wall. That was a reassuring story then, and Fred Rogers had hundreds of others. He could calm little kids by telling them they were too big to slip down the bathtub drain, but he also tackled more serious subjects. In the summer of 1968, he took to prime time and had one of his most beloved hand puppet characters, Daniel Striped Tiger, asking for a definition of the word "assassination." Robert F. Kennedy had just been shot and killed — and Rogers thought even very little children would pick up on how upset the grown-ups around them were, and deserved to be talked to and reassured a little. And at a time when, once again, politicians are talking about defunding public television, it should be noted that Rogers went to Washington to testify before Congress in 1969 about why public TV was so important to young viewers — and to beg for $20 million in public funding. Rogers appeared before gruff committee chair Sen. John Pastore. He described his show, sang a song and recited some poetry — and when he finished, the senator told him he'd earned the $20 million. Fifty years later, the work and legacy of Fred Rogers has not been forgotten. The Fred Rogers Center, where I currently serve on the advisory board, aims to seek out and support new approaches to education and entertainment in the Rogers spirit. The TV company that bears his name continues to produce programs, including the animated Daniel Tiger's Neighborhood. You can still get boxed DVD sets of some of the Mister Rogers shows and specials, which ran on PBS until 2001, two years before his death. And in this golden anniversary year of Mister Rogers' Neighborhood, there are many other plans afoot. Monday in his hometown, Latrobe, Pa., St. Vincent College is scheduled to host a screening of the very first Neighborhood episode. The PBS KIDS network plans to pair other vintage episodes of Mister Rogers' Neighborhood with their cartoon Daniel Tiger equivalents. PBS will also present a retrospective special salute in March, and a new documentary, Morgan Neville's Won't You Be My Neighbor?, is scheduled to be released in theaters nationwide in June. There's a new biography due in September, the U.S. Postal Service is issuing a Fred Rogers stamp and it's just been announced that there's a movie in the works, with Tom Hanks set to play Rogers. That's kind of perfect: One of the most-loved children's hosts in TV history played by one of the most-loved actors in movie history. It's a lot of fuss, especially for a man who didn't like to draw attention to himself. But Rogers deserves it. 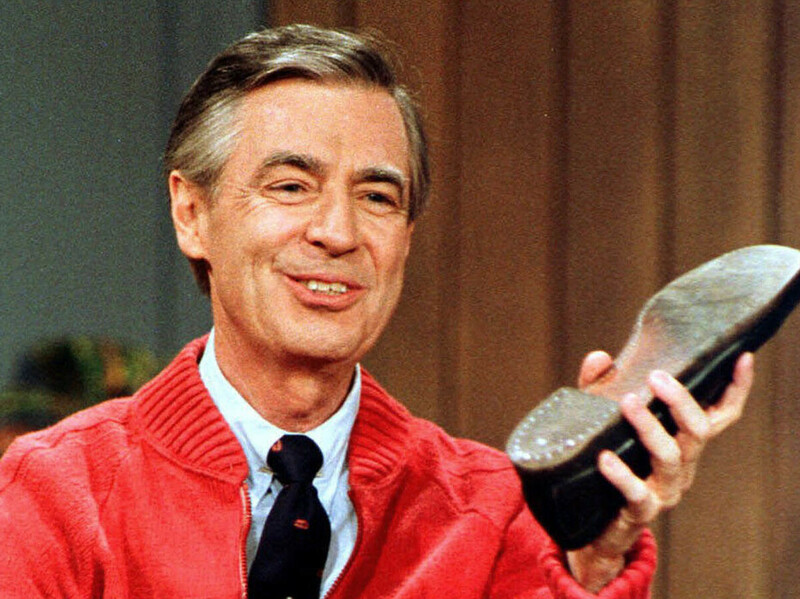 And today, our children's children still deserve — and need — Fred Rogers. Click the audio link above to hear Terry Gross' 1984 interview with Rogers.